So emergency physician, author and speaker, Dr. John Shufeldt, sought out to create a list of questions using 30 years of clinical and entrepreneurial health care experience that students need to be best prepared to evaluate their future career path. He chose six high achieving and award winning medical professionals of various specialties to answer these questions. Dr. Robert Warren Cromer, a WWII veteran and Purple Heart Recipient. 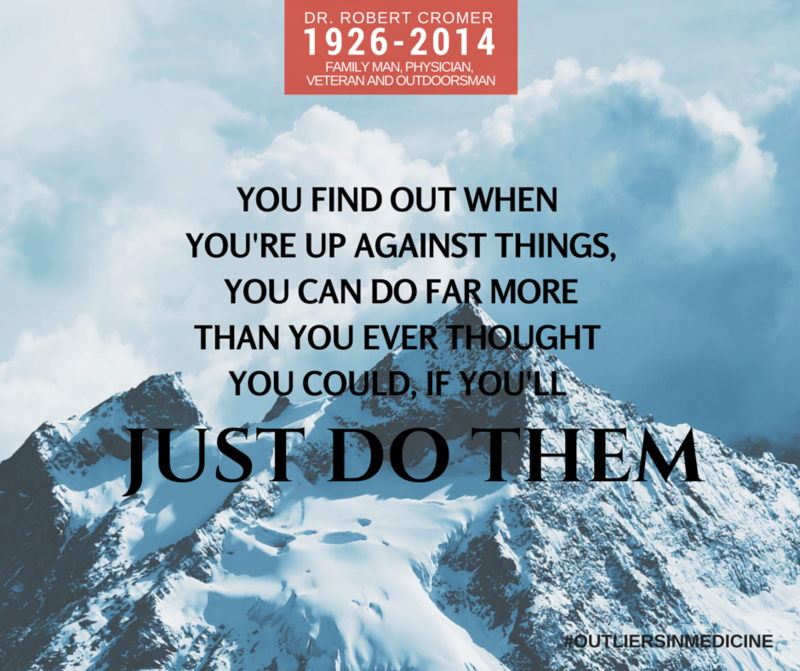 A physician of 60 years, his insight in Outliers in Medicine is invaluable. 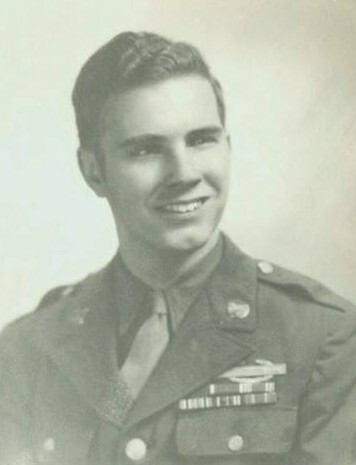 He passed just months after our interview, we are so thankful to his family and him for helping make the publishing of his interview possible! 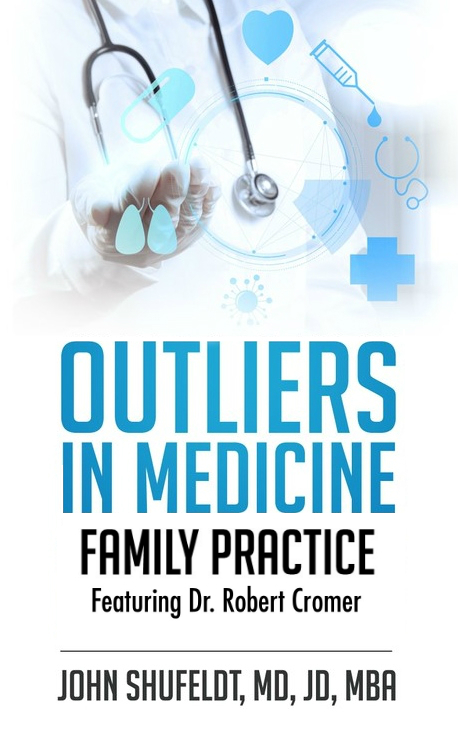 In this volume, get to know outlier Dr. Robert Cromer, a Family Practice physician of 60 years, World War II veteran and Purple Heart recipient. 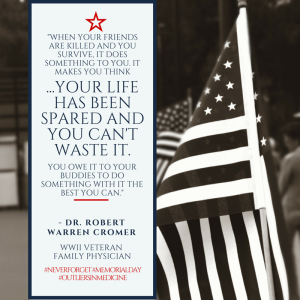 He passed away just months after our interview with him, but not before leaving with us wisdom gleaned from decades of a successful medical practice and countless patient relationships, while also sharing his reason for practicing, and advice for the quest to keep one’s family front and center amid a thriving career. Also included is a resource guide for those aspiring in the field of medicine. This short 25-page eBook is the perfect guide for current and prospective medical students and also of value to those well ensconced in their career as a doctor, physician’s assistant, nurse or healthcare worker. Do not miss out on the opportunity to get answers to the most valuable questions you could ask someone who has already achieved your dream career. Do not even begin the time intensive and costly pursuit of becoming a doctor before sitting down with various professionals from the field. Don’t have a list of medical professionals on speed dial? 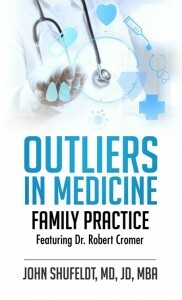 Read Outliers in Medicine for advice from top doctors from various specialties and a pre-medical student just like you. Don’t wait until you graduate, get answers to your most important questions now, and pursue your path with more assurance and direction.